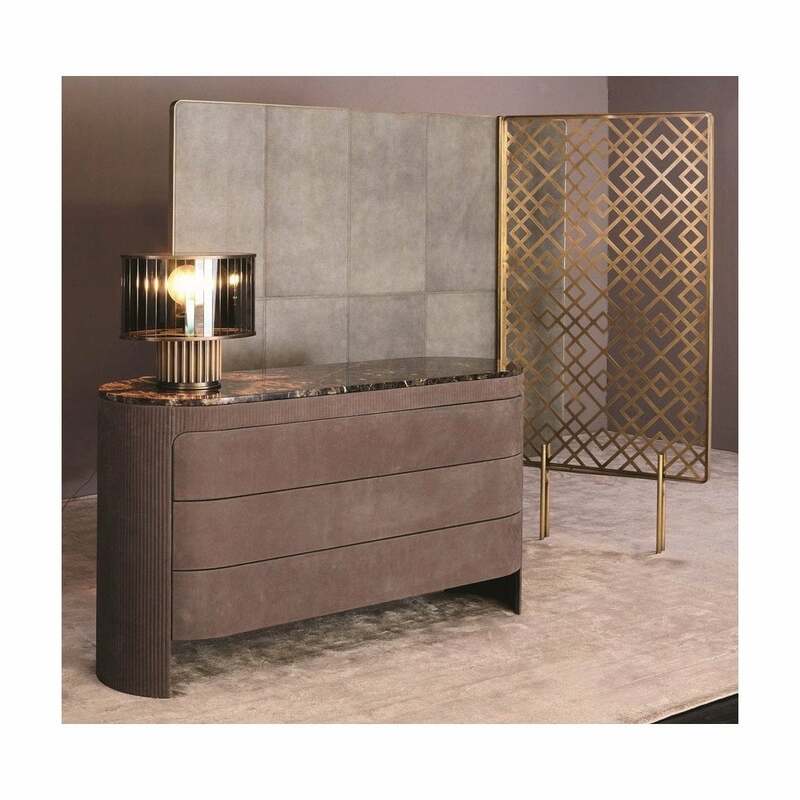 Designed and hand-made in the heart of Italy’s fashion capital, Milan, the Vogue 3 Chest of Drawers takes inspiration from the glamorous interiors of the Art Deco era. The finest materials are used to craft each piece from the Rugiano collection resulting in a refined finish in every design. The Vogue Chest of Drawers presents a sleek shape with rounded corners and soft vertical panels for a luxurious touch. Upholstered in the finest leather and fabric, the design is available in either a smooth or textured material to suit your aesthetic. Combining form and function, three fully-lined, fitted drawers can be used for storing clothing and accessories. Finished with a dark emperador marble top, choose detailing in calacatta oro or valentine grey. The exquisite detailing works beautifully in a dark and sumptuous bedroom scheme with charcoal grey, blush and mink hues. Get in touch with our team for bespoke options.